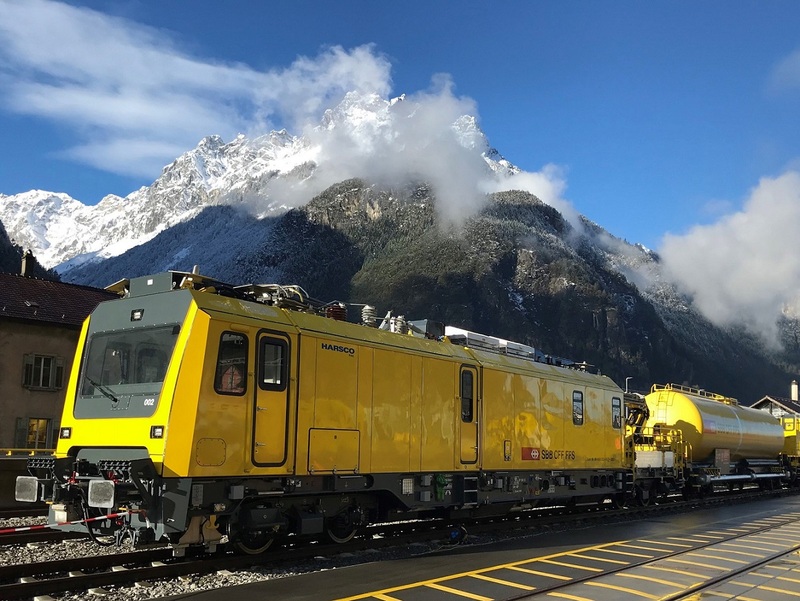 Recently Düsseldorf based Harsco Rail Europe handed over the first 6 of 13 base vehicles constructed for the maintenance work in the Swiss Gotthard Base Tunnel, the world’s longest railway tunnel. 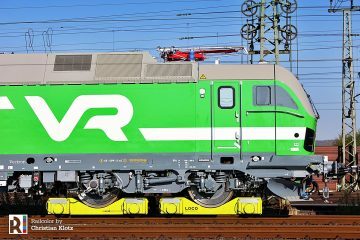 Harsco Rail successfully won the contract for this order in 2013. 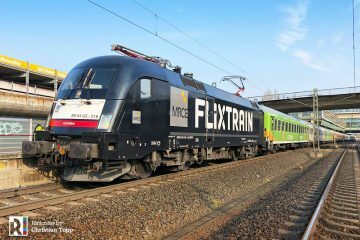 The vehicles type Xem 181, which weigh 80 tonnes each, can be powered by electricity only (1020 hp) or a combination of diesel and electric power (2040 hp). 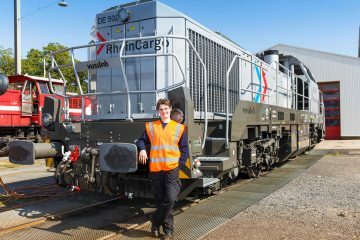 They have 2 motorized bogies and are equipped as standard with a crane and an integrated workshop module. Some unique features include an air-conditioned personnel module that includes a kitchenette and a combustion toilet. These base vehicles can be operated not only from the driver’s cab but also via remote control. They can even be controlled from other wagons. 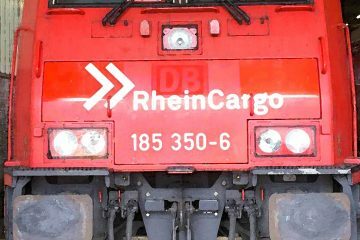 In combination with supplied module carrier wagons, maintenance trains can be put together up to 400 meters long. Both base verhicles and wagons are all equiped with automatic couplers. 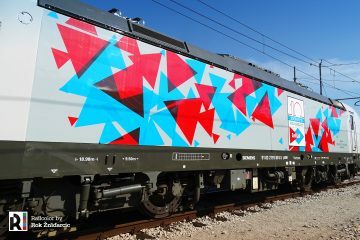 The wagons can be equipped according to requirements, passenger modules or lifting platforms. 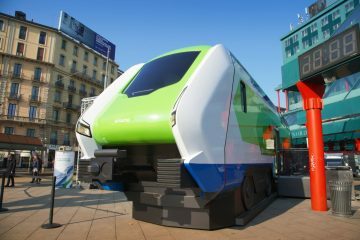 Passenger modules must be air-conditioned due to relative high tunnel temperatures of 35 to 40 degrees. The lifting platforms are the largest of their kind in Switzerland. They enable working on the overhead line and tunnel wall or ceiling. Part of the maintenance trains is the unique Mobile Sealing Gate. 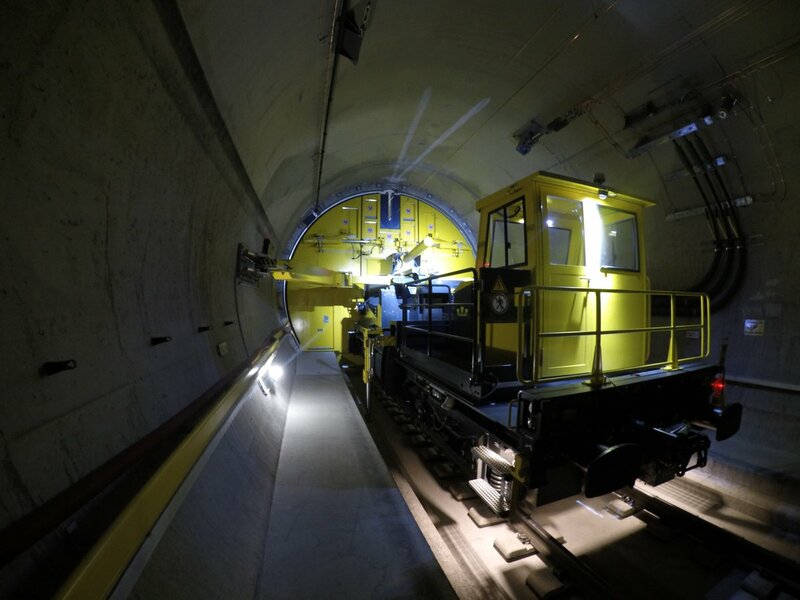 It separates individual sections in the tunnel and significantly reduces air turbulence while working in the tunnel. 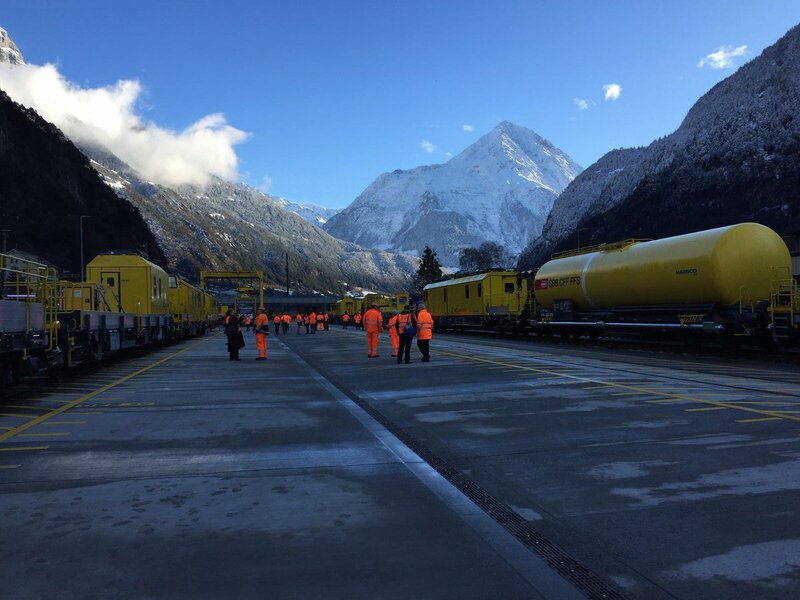 At the handover ceremony, the 6 base vehicles that were delivered were named after the communities of Erstfeld, Wassen, Airolo, Ambri-Piotta, Giornico and Biasca, which are all located along the old north-south route across the Gotthard. 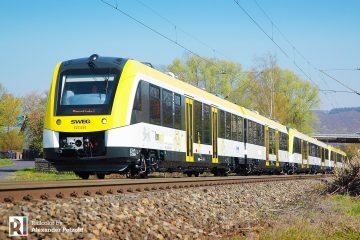 The new vehicles will be stationed in Erstfeld and Biasca.